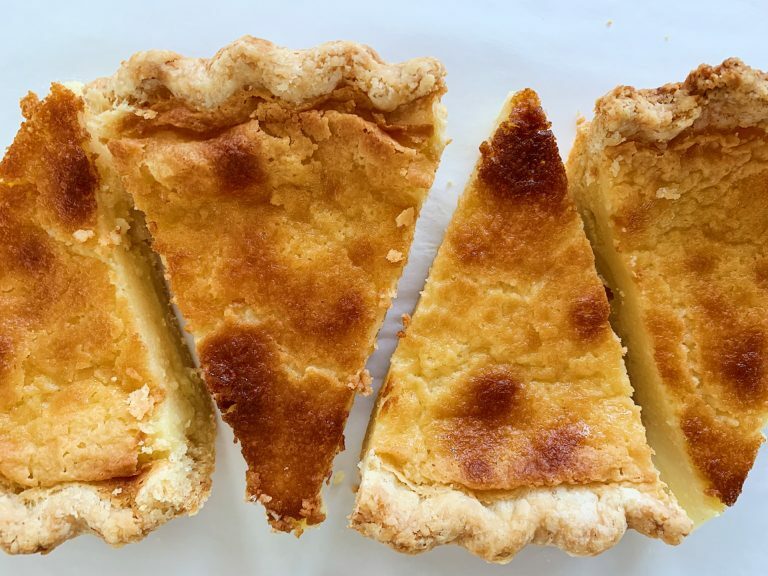 Have you come here looking for a Buttermilk Pie? Well, you’re in the right place! Several years ago, I was watching one of my favorite shows, Mind of a Chef. 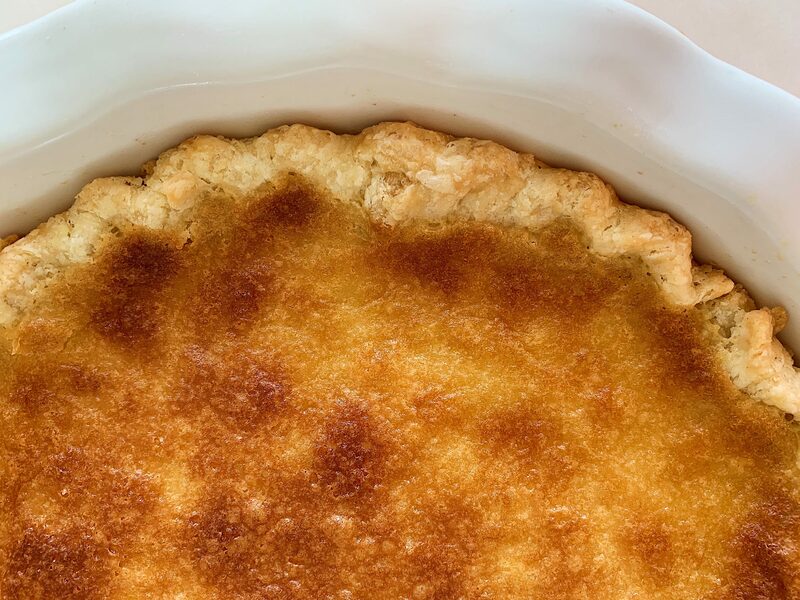 Chef Sean Brock was with pastry chef Lisa Donovan who was showing him how to make a buttermilk pie. I was intrigued; I’d never even heard of it before. It kinda figures though, it’s a southern thing. And since I’m not from nor have ever been to the south, I hadn’t had it before. But one thing’s for sure, I couldn’t wait to try it. With it being #pievember2018 on my Instagram and all, I figured it was high time to make it. 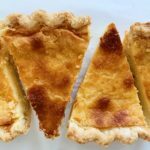 I started out making a super easy pie pastry with my food processor. Guys, it totally takes all the guesswork out of making pie dough. Just add dry ingredients, cold butter, and a little water/fat (optional). You just have to pulse a few times and you have a crumbly mess. But don’t worry! With a little fast work with your hands, you can get it looking pretty. You may even have the filling ingredients on hand already. Basically, it’s just pantry stuff. And to be honest, I held back on making a buttermilk pie because it didn’t sound appetizing. But some odd type of magic happens when you whisk those ingredients together and bake it. It turns into the most delicious custard. It’ll knock your socks off, trust me! If you’re planning on making this for Thanksgiving, it can even be made a day or two in advance. Just let it warm up a little before you serve it (perhaps a quick warm in the oven). The best part? No need for whipped cream or additional toppings, it does fine just by itself. One of the easiest (and tastiest!) pies you can make for Thanksgiving. Mix together the melted butter and sugar and beat with a whisk until a little fluffy. Add the eggs and vanilla and beat until well combined. Add half of the flour and pinch of salt, whisk to combine. Add half of the buttermilk. Repeat using up the rest of the flour and buttermilk. Whisk lightly until smooth. Set aside. 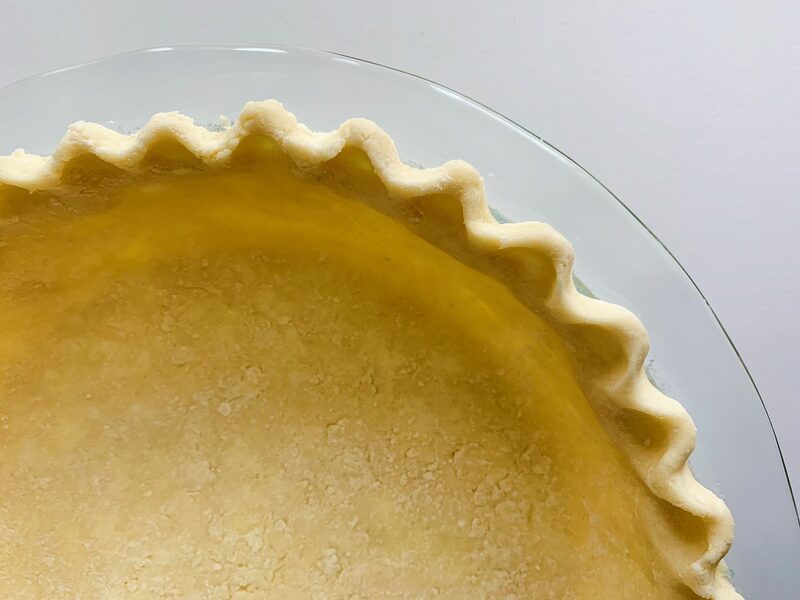 Grab your chilled pie dough from the fridge and roll it out into a 11-12" circle. Place the dough into your pie plate (Use a deep dish 9" plate. 9.5" is fine, too). Press dough into the plate then fold and crimp the edges. Pour the filling into the pie shell and put in the oven. Bake at 400 F for ten minutes, then reduce the temperature to 350 F and bake for an additional 40-50 minutes. If you are using a 9.5" plate, check the pie about 30 minutes, as it is probably going to bake faster. The pie is done when the filling is a deep golden brown and a knife inserted into the center comes out clean. Let cool for about an hour and serve warm. Enjoy!